One of many reasons why international students to study in Malaysia is because of its cost-effective, tertiary education. A student can save a decent amount in tuition fees if he/she chooses to study artificial intelligence here. 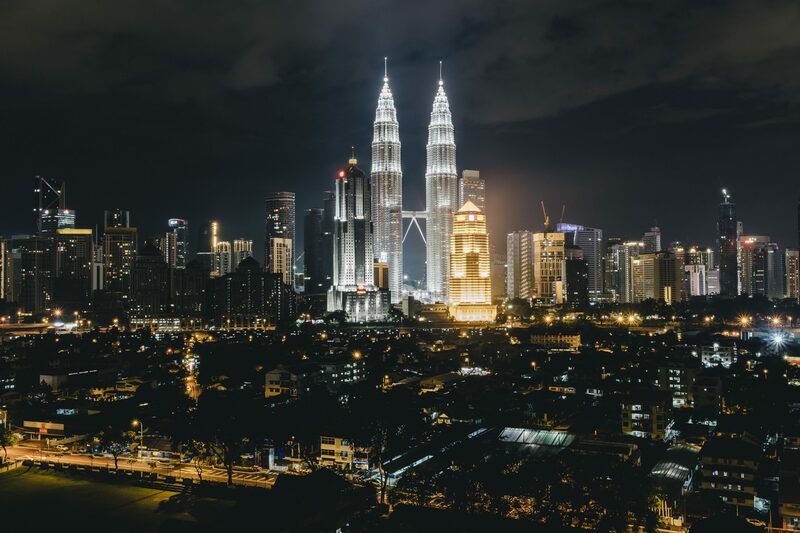 In this article, we list down six Malaysian public universities which offer a Master’s course in AI. International students who have the academic qualifications received from any local university approved by the Senate will be exempted from requirement mentioned above but are required to take Ujian Kecekapan Bahasa Inggeris (UKBI) and if they do not acquire the level set by the program, the candidates are required to take and pass Modul Kemahiran Bahasa Inggeris (MKBI). International students are required to fulfil the English language requirement by clearing the TOEFL with not less than 550 and IELTS with a minimum score of 5.5. Faculty/Institute may grant exceptions to the English requirement for international students from countries with English as the official language or have academic qualifications obtained from institutions that use English as a medium of instruction. All international students are required to follow two Malay language courses equivalent to 4 units offered by the General Studies Centre. Exemptions can be given to candidates who have taken and passed Malay language courses organised by other bodies recognised by the UKM Senate. To apply and combine knowledge concerning current research concerns in artificial intelligence and design work that is at the forefront of the developments in the domain of artificial intelligence. Assess and analyse the use of intelligence techniques in terms of their usability, performance and effectiveness. Exhibit artificial intelligence solutions and use the fundamental techniques to explain artificial intelligence problems. Communicate and function completely in a group. Develop, distribute and present technical material related to Artificial Intelligence. Demonstrate performance that is consistent with codes of professional integrity and reliability. Students are needed to complete four compulsory courses, three electives courses and one project paper. 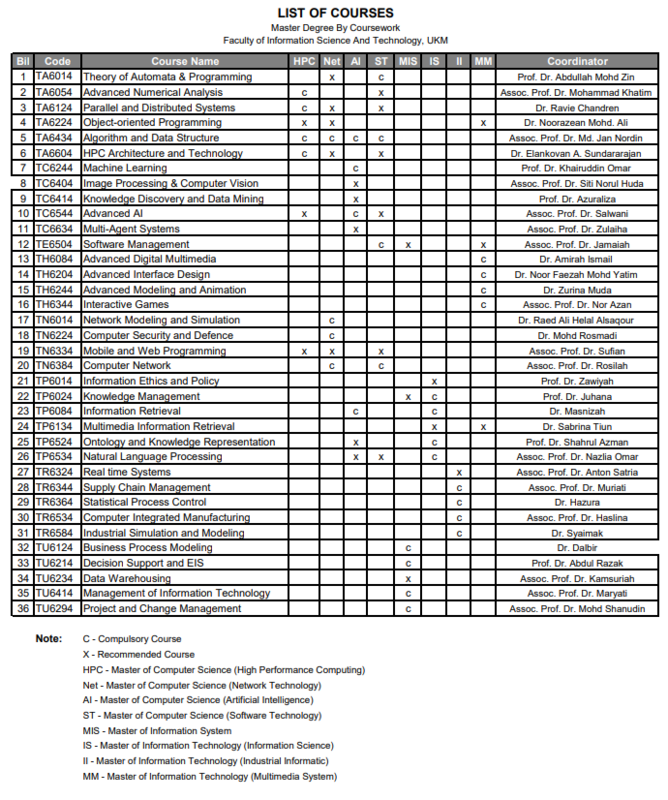 The list of courses is given below. The tuition fee in Malaysian ringgits (RM) is RM 12,900 when converted to Indian rupee average tuition fee per year for masters program is ₹2,40,983. The International Islamic University Malaysia was also known as IIUM, is a public university in Malaysia. Headquartered in Gombak, Selangor, IIUM has six other campuses all over Malaysia The educational institution aims to become a chief international centre of educational distinction which attempts to restore the dynamic and progressive role in all branches of knowledge and rational discourse. Show a high- level knowledge in computer science theories and reinforcements. The understanding must transcend the implementation features of the various segments to incorporate an appreciation for the structure of the computer. Understand the interplay between theory and practice. Graduates from this programme will be able to conjecture the theoretical underpinning of Computer Science discipline as well as how they are applied in practical employment. In the first semester, students are needed to record two Kulliyyah required courses: ICT Research Methods and Islamic Worldview on ICT and Society. Within six months from the enrollment date, the students are required to submit his/her research summary proposal which needs to be justified. Students are also expected to present their research progress at a formal PG colloquium at various stages of research. Finally, the student shall defend his/her research in a viva voce and made corrections in accordance with the examiner’s statements. Database Systems, Big Data, Data Science. Once the students are done with there course abundant opportunities are available. They can gain great opportunities in the fields of Systems development, Computer analysis, Software Engineering, Data Science, Database Development, Network System Administration, Wireless Systems Designer, Information Security Analysis, Computer Forensic Analysis, Network Engineering. The programme is offered via full time. The full-time programme would normally require two years (four semesters) study duration and the maximum duration allowed is three years (six semesters). The Tuition Fee for the foreign students per semester is RM 3600. When converted into Indian currency it would be around ₹2,50,000. 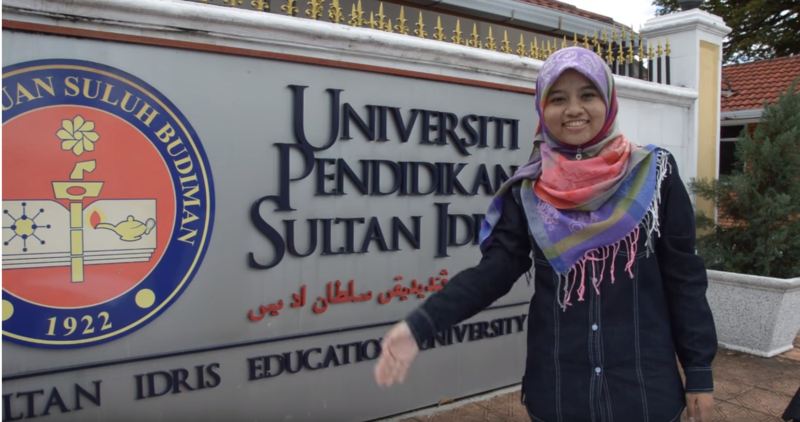 Sultan Idris Education University commonly abbreviated as UPSI is a public university in the town of Tanjung Malim, Perak in Malaysia. it is one of the former functioning institutions of higher learning in Malaysia. Faculty of Art, Computing and Creative Industry (FSKIK) was authorised on June 1st, 2010. The faculty has three sections i.e. the Department of Art and Design, Department of Computing, and the Department of Creative Multimedia. Several programs from diploma level, undergraduate, graduate and doctoral degree are offered by FSKIK to meet the needs of creative Industries which provides graduates with arts and computing knowledge, skills and abilities either in the field of education or for productive Industries worldwide. To assure at least 80% of students and staff comfortable with the facilities provided. To guarantee the ratio of lecturer to students is 1:20 for full-time students. To assure 80% of students will get CGPA 2.75 and above. To assure at least 70% of students will get at least CGPA 3.00 and above. To guarantee at least 95% of students will graduates within eight semesters. To guarantee 75% of lecturers get a good rating (score above 75%) in the course evaluation by students. To assure 95% administrative and support staff and academic staff meet the minimum CPD points by a group. To secure 80% of customers satisfied with the services provided. To assure at least 80% of research conducted by the lecturer is in accordance with the direction of the research faculty. Other qualifications recognised by the Senate. Foreign students are required to meet a score of not less than 550 in the Test Of English As A Foreign Language (TOEFL). A minimum overall band score of 6.0 in the International English language Testing System (IELTS) and hold a degree from any of the local university or government recognised institute. 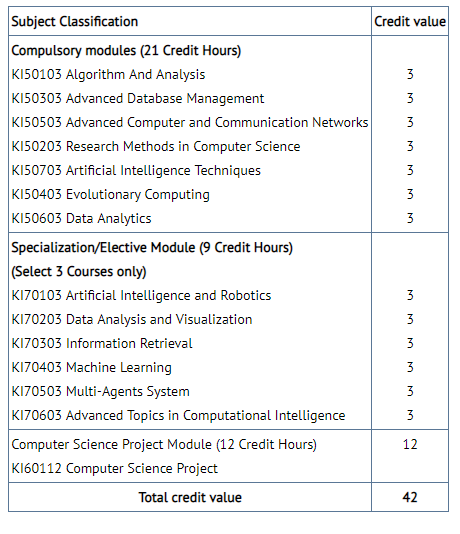 The Course has a 3-semester prototype which makes a total of 6 semesters for 2 years. The tuition fee for the first 4 semesters is 6,715 Malaysian Ringgits per semester and 2,020 Malaysian Ringgits for fifth and subsequent semesters which would be around ₹540000. University Putra Malaysia is recognised by the independent government evaluations as one of Malaysia’s leading research universities awarding undergraduate and postgraduate courses in fields such as science, engineering, medicine, veterinary medicine, business and social science. It was ranked as the joint 229th best university in the world in 2017 by Quacquarelli Symonds and it was ranked 36th in Best Asian Universities and the 2nd best university in Malaysia. Intelligent Systems aspirants are expected to initiate research in the theory, design, implementation, and application of intelligent computing. This comprises establishing new techniques that can effectively transform massive data into useful information and knowledge; surveying procedures in genetic algorithms, swarm optimisation theory, ant colony optimisation; demonstrating their uses and capabilities; studying agent semantics and ontology; associating within multi-agent systems, mobile computation, social networking and knowledge sharing; research in text mining, semantics, and natural language processing which concentrates on intelligent content analysis by developing efficient algorithms to process texts and to make their information expected across computer application; developing and applying state-of-the-art mathematical and computer science techniques to dilemmas now arising in the life sciences, particularly those now resembling in the post-genomic era. Intelligent systems also persevere research on finding methods for the implementation of an intelligent solution for embedded systems that can be utilised in robotics and smart devices. Research in intelligent systems covers the following sub-areas: data mining, intelligent agents,evolutionary computation and optimisation, computational linguistics, bioinformatics, semantics, text mining, natural language processing, and embedded systems. Aspirants should have a Bachelor’s degree (with honours) in a relevant field with a minimum CGPA of 3.0, or Who has insufficient academic requirement can be admitted into the programme subordinated to any other requirement specified by the Faculty/Institute. Students in the final semester of there undergraduate study programme may be considered for temporary admission provided that latest CGPA or its equivalent academic result satisfies the graduate programme admission requirements. Aspirants should have minimum 550 scores in the TOEFL paper-based test or 6.0 in their IELTS or 79-80 in online based TOEFL or Level 109 for CIEP at ELS Language Centre. For the 1st semester the tuition fee is RM 6,500; for 2nd – 3rd semesters: RM 4,250; 4th semester: RM 3,750; 5th and subsequent semesters: RM 4,000; Study expense for max 2 years is RM 18,750; Study expense for max 3 years is RM 26,750. When converted to Indian currency it would be around ₹3,26,000 and ₹4,65,000 respectively. 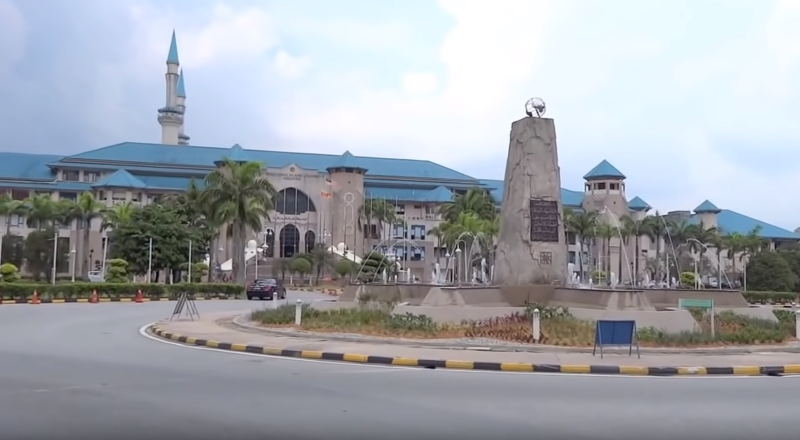 Universiti Malaysia Sabah (UMS) is an institution of higher education that produces human resources, experts and professionals in a variety of fields. With the ultimate idea of presenting high-quality education to a local and global alliance of students and scholars, UMS has set for itself a high standard of scholarship. The institute’s undergraduates, as well as postgraduate students, obtain guidance and learning opportunities in an atmosphere that values talent and innovation. Ever since its endowment, UMS has made steady efforts to develop modern infrastructures and mechanisms, and a capable academic faculty assisted by efficient management to provide an adequate platform for training young generations. The Master of Computer Science by coursework is designed to provide graduates with state of the art knowledge and skills required to face in the quickly expanding field of computer technology. Research highlights software engineers to be among the swiftest growing occupations now within 2020. With a concrete economic outlook, the local industry has begun embracing software applications in an original competitive manner. Their consumption of software is fuelling career opportunities as software/web developer, software engineer, database analysts, software implementer and software architect. All software houses are now reporting an increase in local sales and a burgeoning number of export orders. A Bachelor of Science graduation in Computer Science/ Information Technology or comparable with CGPA less than 2.50 provided that the applicant has at least five years of direct working participation in the ICT industry. Degrees awarded by local/ private institutions of higher learning, including those awarded under any collaborative/ franchising schemes with regional or foreign partners must be accredited by the Malaysian Qualifications Agency (MQA).